Home Drama Jeon Hye-Bin gets slapped in the face at the hospital? 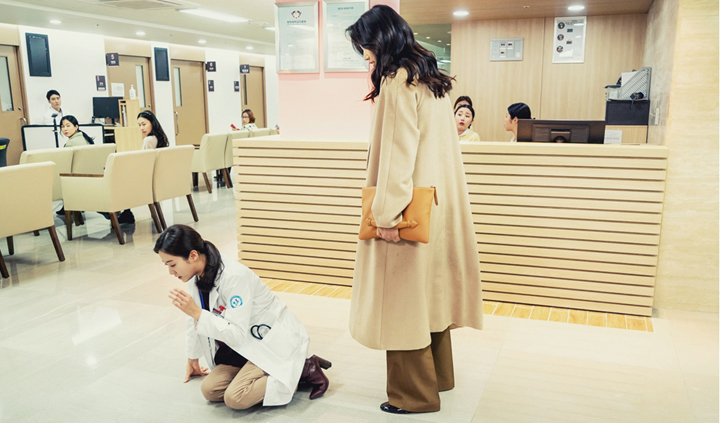 In the upcoming episode of ‘Liver or Die’, Jeongsang (Jeon Hye-Bin) gets slapped in her face in the middle of the hospital where she works. She has fallen to the ground in shock. The patients, nurses and doctors are all eyes on her. Jeongsang is the smartest and the most successful among the five Lee siblings. Why is she getting slapped by Bae Sujin? Sujin is a character who will turn Jeongsang‘s life upside down. Stay tuned to find out how they’re related..